Elizabeth McCann is our Credit Control Manager. She first joined the company in 1984 straight from college having completed an HNC in Business Studies. She subsequently left in 1990 and worked in Newspapers and Television for 11 years. During that time she qualified as a Paralegal in both Civil Court Work and Debt Recovery. 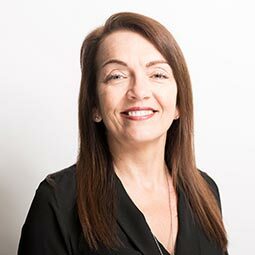 She re-joined us in 2001 as Manager and oversaw the development and training of staff so that everyone within Credit Control is now a qualified Paralegal. Off duty Elizabeth enjoys reading, going to the theatre and socialising.